Over the years there have been several groups affiliated with the Church of God, International. This group was started in 1999 so this is our 16th year celebration. Church Services will begin at 2:00 PM with a Pot-luck meal after services. After the meal we will have photo presentations, hopefully Karokee and dancing later in the evening. This was a special church service in Charlotte on August 30, 2014 which to give interested people in the Charlotte Area an opportunity to see what our services are like if they and never attended Church of God, International services and to meet our members in the area. 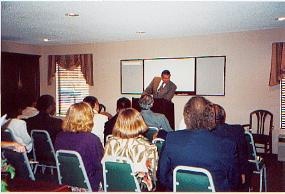 We will had two presentations by ministers in the North Carolina area. Mr. Roger King gave a message entitled: " Welcome to the Curch of God, International "
Mr. Cecil Green 's message was entitled : "An uncommon test from God"
We will be observing Pentecost on Sunday May 19th in Charlotte at the FourPoints Shereton. We expect to have Sabbath Services that Sabbath and Pentecost Services the next day. Services will begin at 12:00 Noon on both days. Our services are open to all so if you are very welcome to worship with us on thest days. Since the time of Adam and Eve Man has been barred from home, that is , home with God. Can mankind get back home? If so how and when will it happen ? On the Home Page Click on Sermons and watch the presentaion entitled "Mankind's Long Journey Home" for some interesting possibilities. Why is it that it seems that many great men especially those that do great works in the name of religion run into trouble with personal problems and make mistakes that look very disgraceful. These mistakes seem to go against what they have professed to stand against. There is a reason that this tends to happen. There are examples in the bible. On the Home Page Click on Sermons and watch the presentaion entitled "DESCENT TO GREATNESS" for some interesting possibilities. We have added selected videos that were made at the Fall Festival of Tabernacles at Myrtle Beach SC, 2011. On the main page select Festival Music. When you are on you tube you will se the number of videos just above the presentation that comes up at first. 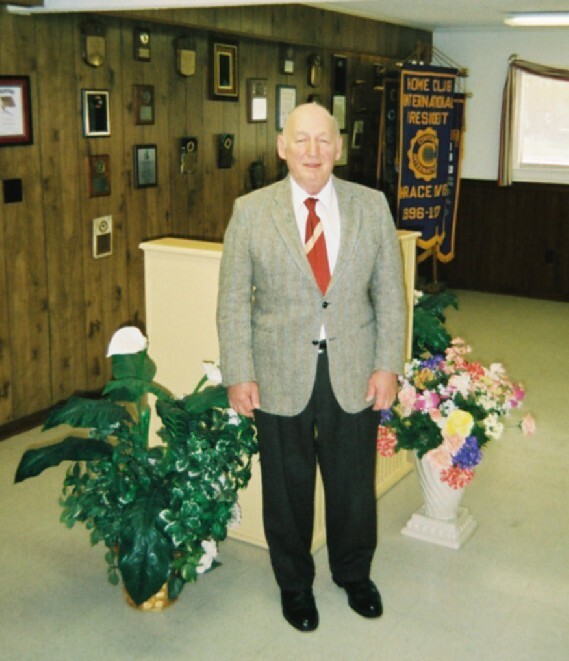 If you click on sermons you will see presentations given by Roger King over the years at various Church of God International locations. 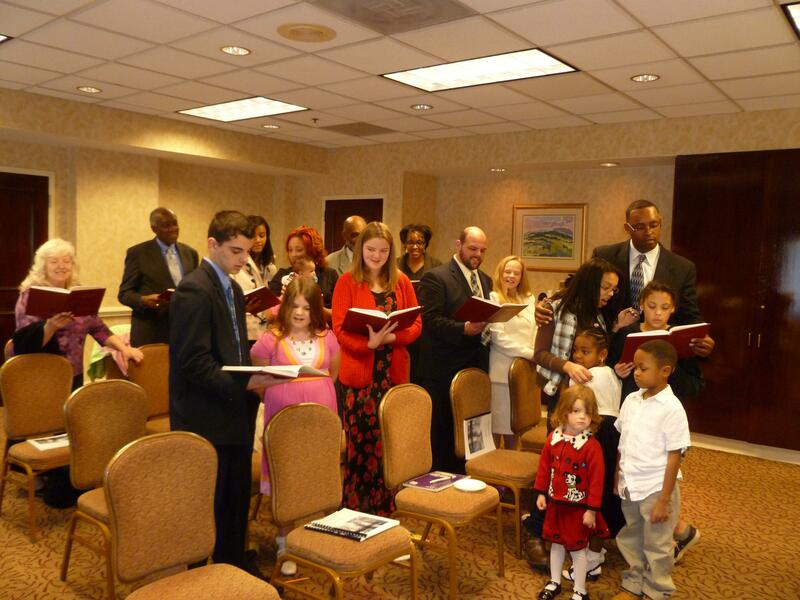 Love for the brethren; commitment to the commandment to keep the Sabbath; and attention to the apostle Paulà¡¤monition to not forsake gathering; motivates local North Carolina CGI members to travel from Raleigh, Durham, Greensboro, Mount Airy, Wilmington, and Charlotte when possible, but for some time now the Raleigh church has had the desire to take the church to the members so to speak. About five years ago, Roger King, who serves the Raleigh, Greensboro area, established a means of outreach that allowed for individuals and their families to participate in church services by telephone hookup. Today, that system is still connecting members from as far away as Denver Colorado. It has also proven to be a beneficial blessing for local members during illness, or inability to congregate in person. Continuing in this outreach, the CGI Raleigh/Greensboro, church has had a mindset to honor its members by visiting individual locales with the purpose of bringing church to the members and others living near them who may wish to experience a CGI church service. That mindset bore fruit on January 29th, 2011 when the church made the first of what is hoped to become a long tradition of member location visitations. It is 6:40 am and Roger and Mary board a train headed for Charlotte NC. The first stop is Cary NC, and the distinguished looking Thomas Covington walks past them with a big smile. The excitement mounts. The next stop is Durham. Will they see another familiar face? No, regretfully, Barry Dunn can not make it. As they head toward Burlington, the sun is rising behind them and reflecting perfectly on the trainà´©nted window panes. They can look at it without harming our eyes. ç¥®ty minutes to Greensboro. Twenty minutes to Greensboro,á ¶oice says through a speaker mounted on the wall as the train slides into motion again. On they move through clusters of wooded areas, patches of thinly populated neighborhoods, and a commercial district or two. Every now and then the path narrows giving the impression that the train is snaking its way through a mountain. At other times, it seems to get uncomfortably close to another train, but all things considered, riding the train is very exciting and comfortable. å¸´ stop, Greensboroä¨¥ speaker on the wall announces. From the window, Roger and Mary peer anxiously at the crowd of people waiting for the train to stop. Their hearts leap as they count not two, but four familiar faces; Lois Henley, Patrick Williams, and his two gorgeous daughters; Madelyn and Mariah. Hooray! It is on now. ï®¤uctor,ä¨¥y want to say, á«¥ us straight to Charlotteå®¦ortunately, saying it will not make it happen, so they settle down and enjoy the rest of the ride. The train stops in High Point, Salisbury, and Kannapolis before the seven are able to embrace each other in Charlotte. Now, to get from the train station to the Doubletree Hotel in downtown Charlotte, they grab the nearest taxi and all seven pile in. Our driver is a pleasantly agreeable chap from Africa who gets them to their destination in under seven minutes. Once inside the hotel, the clerk ushers them to the Trade Room on the second floor where they are to hold services. It is a lovely, quiet room that meets their needs to a tee. Complimentary coffee, along with Loisà³°ecial cheese pate and crackers makes everything feel warm and homey. Setting up for service, the group hopes to see Herbert and Rachael Baggett walk in, but the first to arrive is the Petty family (Marie, Russell Sr., Russell Jr. Angel, Christy, and Priscilla) whose presence adorns the room with joy and enthusiasm. Shortly after that, Monique Rice and her family (Ashley, Hannah, Terrell, Kylie, London, and Andrea) arrive with heartfelt hugs and kisses for all. As service begins, we find out that Herb and Rachael are on the telephone along with Isaiah and Felicia Eaton, and Mr. Levi Lester. Even though there is distance between those in the room and those on the telephone, all realize that in a very real way there is no distance between them at all. After songs and prayers, Roger King presents a sermon entitled Church in the Wilderness. It focuses on the fact Godà£¨urch extends to not just those known, but also to others not known. It could be a group in another land, or a single individual living two doors down who is striving to keep the Sabbath alone. The group learns that this means they must be welcoming and representative of the church at all times. After service, lunch is the dominate concern, and attendees depart for Showmarà²¥staurant for good food and conversation. Fellowshipping with the Petty family and the Rice family is a delight that is very similar to a mini Feast, but too soon it is time to say good bye and journey homeward. Waiting for the train, Mariah Williams says something important, å©®g with my father for my first train ride made me feel very close to him,á®¤ Madelyn agrees, stating, è©³ is special quality time I will never forget.ì¯©s scans her notes and verbalizes major points in the sermon. è¥ best part was learning that the real location of the church is the resurrection,ã¨¥ says. The evening sun is setting as the train heads toward Greensboro. The original seven are sitting together discussing the joys of the day and contemplating the next trip until the Greensboro group departs. The train rattles onward through the encroaching darkness outside, but conversation continues all the way to Cary where Thomas steps off the train to make his way home to Holly Springs. Fifteen minutes later, Roger and Mary arrive back in Raleigh with the satisfaction of knowing the day has been well spent, and why shouldnà©´ have been? After all, it was a Sabbath and it was spent in church è¥ church in the wilderness. After the regular services, the church enjoyed a bounteous potluck buffet with an array of casseroles, salads, meats, cheeses, wines, and desserts. Later, members got the opportunity to strut their vocal abilities with the assistance of high tech Karaoke. All I can say is, if you think your congregation is shy, bring in a K machine and watch the fun begin. We had a ball! But wait, it didn't stop there. Lastly, we set up music in the meeting room and DANCED. Yes, that's right, DANCED. Again, if you think your congregation is shy, start a dance line (most of us know it as a 'Soul Train' line), and see what happens. We danced until we couldn't dance anymore, and then those of us who were left, just spent a little time talking about the good ole days and what we hope the future will bring for God's people. When it was all over, we each felt the warmth and gratitude of having been in each other's presence for an event that meant so much to us, and we knew that joyfully, we look forward to another year together. We were very pleased to have Mr. John Coish with us again this year. John is the President of our offices in Canada. After his presentation we were given another treat. Mr. Patrick McDowell had prepared a Chili Supper for us which we all enjoyed. The chili was supplemented by some food brought by the ladies. We are blessed here in Raleigh to have some excellent cooks. We plan to "eat more of their cooking" in the very near future. We had five visitors for the services. This was the first time attending a CGI meeting for three of them. We celebrated our 7th anniversary with services at the Wingate Inn and a dance later in the evening. 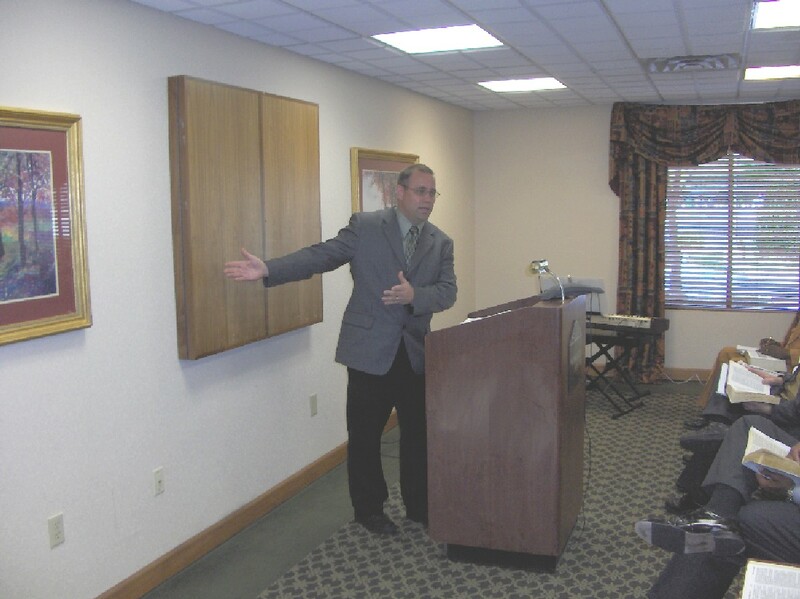 Thomas Covington gave his traditional presentation of the history of the Raleigh Area Church of God, International. As usual it was informative, inspiring and entertaining. Roger King's presentation included taking a look at what we have accomplished and what we hope to accomplish with the help of God which included setting some goals. The meal for the evening consisted of a very delightful catered buffet planned by Mr. and Mrs. Patrick Mcdowell which everyone enjoyed very much. The evening was finished with a semi-formal dance with the best bands and performers around playing for us (via CD's of course) and we all did the East Coast Swing, Electric Slide and other dances until our legs were tired, and still kept dancing. We had several guests from other fellowship groups, friends that we were all glad to see. We are already thinking about Anniversary 2005. Hope you will be with us. John H. Grubb was baptized on March 29th. We had a special Sabbath Service that day with a pot luck meal following the baptism and the laying on of hands ceremony. Naturally this was a very joyous occasion for us and we know that there was rejoicing in Heaven because another person has decided to commit his life to God and His service. At the next Sabbath meeting we gave Jack our version of "the right hand of fellowship". Jack is retired and lives in Zebulon North Carolina. We welcome Jack to the Raleigh Fellowship Group and appreciate his contributions to make this a place a "house of prayer for all people". On July 6, 2002, The number of persons dedicated to God Almighty was increased by three. 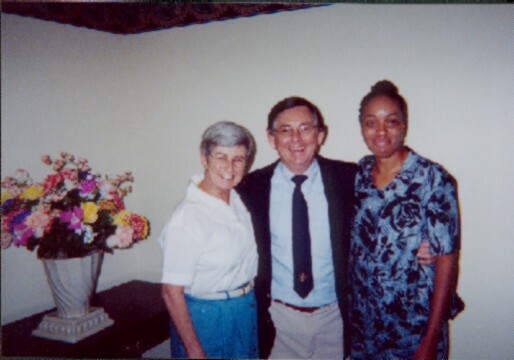 Barbara Spence, her husband John, and Monique Leike (left to right)were baptized in symbol of their dedication to God and intent to live their lives for Christ. After the "laying on of hands" and the request for God to give them His Holy Spirit, there was a potluck meal to celebrate the joyous occasion. We take this time to join God and Jesus Christ in welcoming Barbara, John, and Monique into the family of God. As pastor of the Raleigh Group, I consider their commitment my permission to charge to them a greater share in the work of serving those that God shall surely entrust to us in the future. May 1, 2002. We are still meeting in Fayetteville on the 4th Sabbath of each month. We call it our "keeping the lights on" program. Most of our group from Raleigh go to Fayetteville to support this effort. We feel that if we keep a presence in an area growth is sure to come. There is one new person that attends on a regular basis. We are very happy to "keep the lights on" for her. Since we only meet in Raleigh on the First and Third Sabbaths the Fayetteville meeting gives us another opportunity to worship with other believers on the Sabbath. We plan to be back in the Greensboro area in the very near future. New Format for Worship Services Brings New Excitement to the Raleigh Group. 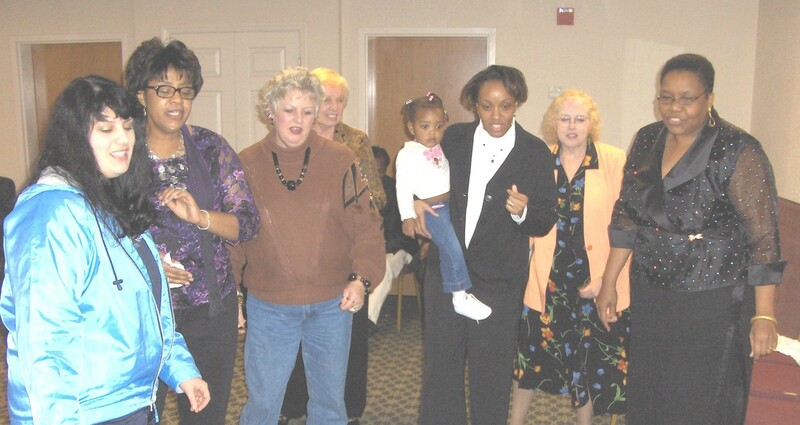 As of April 20, 2002, the format for services in Raleigh was changed. We have been working very hard for a couple of years now to make our worship services more enjoyable and meaningful to all. We want our meeting place to be as God said it should be in Isaiah 56, "a house of prayer for all people". Under the new format, we have more songs, old and new testament scripture readings, and prayers for the sick. Our pastor has been giving more sermons on the importance of music and singing in worship service. He reminded us of the power of music, not only in the past, but in the present. The congregation responded very favorably. Thomas Covington, a longtime CGI member and speaker,did a great job leading the congregation in song,considering the fact that it was his first time. Steward Fields, another longtime CGI member, read from the scriptures, what thus "sayeth the Lord", with a sincere heart. Our new format proved to be exciting for us all. 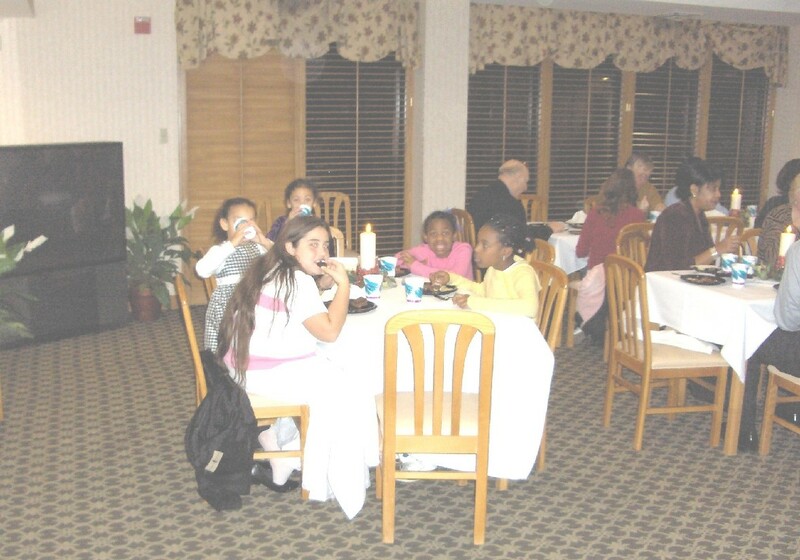 On December 16, 2000, there was a gathering at the Comfort Inn, in Apex,NC to celebrate the second anniversary of the Raleigh congregation. The guest speaker was Ben Chapman, Chairman of the Ministerial Council of CGI. Everyone enjoyed his keynote address which was followed by refreshments and fellowship. Those who worked and prayed so hard for a group to be based in the Raleigh area were very proud of their two year old group. May God bring the growth.